It is rare to find an artist who has both age and wisdom on his side. At just 24 years-old, Big K.R.I.T. possesses the musical intuition of an old soul. Hailing from Meridian, Mississippi, K.R.I.T. (born Justin Scott) grew up listening to early rhythm and blues records in his Grandmother’s house and later went on to discover songs by revered soul artists like Curtis Mayfield, Willie Hutch and Bobby Womack. It’s easy to detect these artists and rap legends who have influenced the young MC like 8Ball & MJG, UGK, Scarface and OutKast in K.R.I.T.’s own music which masterfully resurrects the rich heritage of Southern hip-hop in the 1990’s. Big K.R.I.T. is the sole producer of his Cinematic/Def Jam Records debut album, Live From The Underground which serves as a testament to his multifaceted musical talent and overall artistic vision. His major label debut is being released on the heels of two critically acclaimed independent releases, K.R.I.T. Wuz Here (2010) and returnof4eva (2011) which featured Ludacris, David Banner and Bun B. 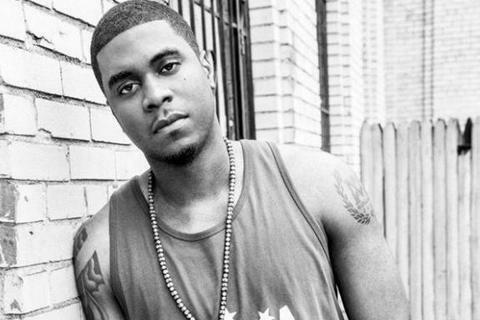 In addition to receiving starred reviews from Pitchfork and Complex, K.R.I.T.’s growing popularity earned him a spot on the cover of XXL’s Freshman cover in February of 2011 placing him amongst the industry’s most promising newcomers. Recording at the time under the name Kritikal, K.R.I.T. changed his name after graduating from high school and moving to Atlanta to pursue a career in hip-hop. He had some minor success as a producer and was able to sell some of his beats, but unfortunately it would be another couple of years until he was able to actually survive off his musical talent alone. With his first studio album, Live From The Underground, K.R.I.T. stays true to his winning formula. He does so by producing a collection of records that continues to build on the musical history of the South, while simultaneously showcasing his personal beliefs and background in an honest and open way. K.R.I.T. also called upon some of hip-hop and r&b’s heavyweights to bless the album including Anthony Hamilton, Big Boi, Melanie Fiona, Bun B, and 8ball & MJG. The wide-range of collaborations add bass, but also the soulful-harmony that give Live From The Underground its dynamic and exciting feel.